Why Do They Make It SO Hard To Adopt A Rescue Bird?? Recently there has been some discussion on our Facebook page about parrot rescue and there were several commenters complaining about the vetting process that potential guardians must undergo before they are considered suitable to adopt. Others complained about the fees involved. Fid, my Blue and Gold Macaw playing with a foraging toy. 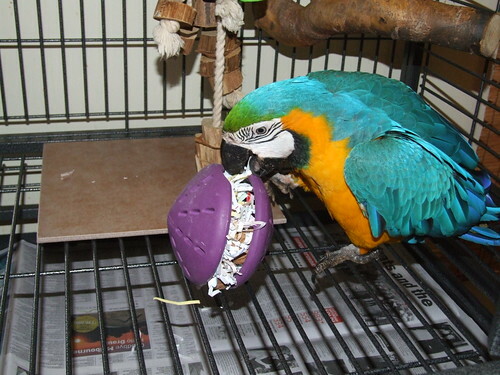 The age of shredded paper that I use in foraging toys is also something that I am very aware of. Mel Vincent works as an animal rehabilitator out of Australia. Is Your Local Parrot Rescue Really A “Rescue”? I write this post reluctantly. I want to be careful not to cast doubt and suspicion onto the many great, reputable parrot organizations out there. I don’t want to scare you away from donating money or otherwise contributing to your local rescue, but I DO want you to take a look at it before you do so, and especially if you are thinking about relinquishing your bird. 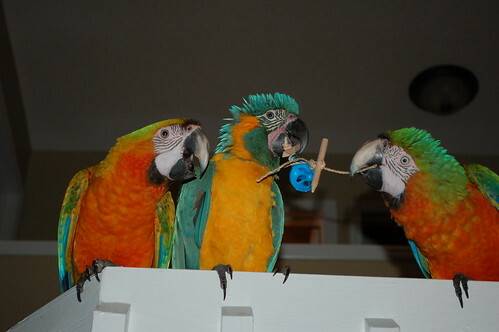 Listing Of Parrot Rescues: We Need Your Input!